Be still, the hearts of Elder Scrolls fans. 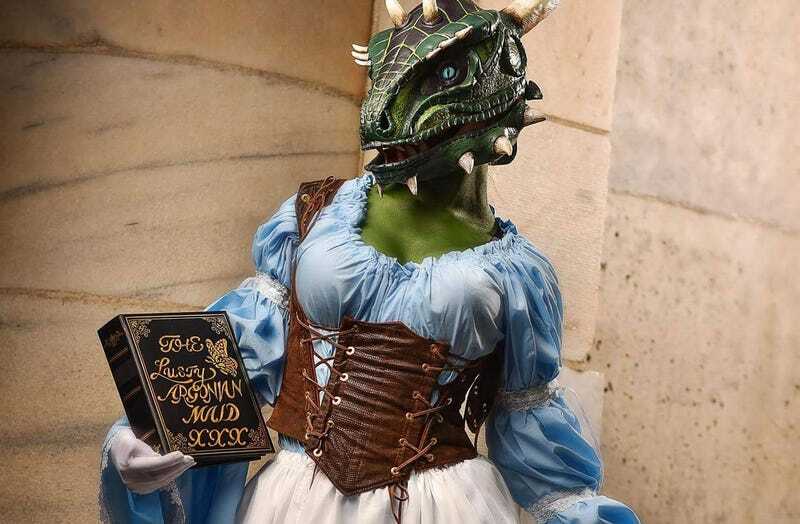 This is Jenna Lynn Meowri as Elder Scrolls literary starlet The Lusty Argonian Maid. She had some help with the helmet/mask from Del Nero Designs.